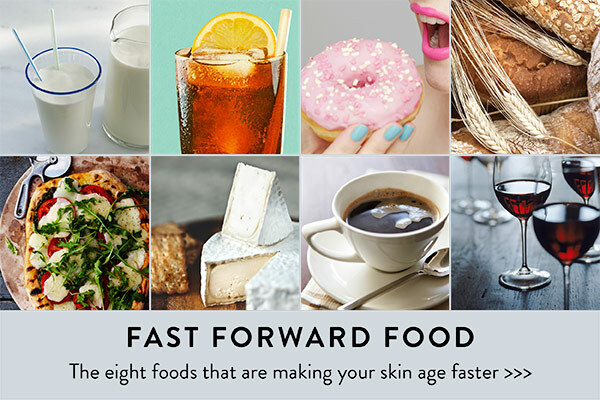 Here, Nutritional Therapist Petronella Ravenshear tells us which are the top eight perpetrators to avoid (or at least limit) if we want to keep our skin sensational and spritely for as long as possible. Both potatoes and grains ultimately break down into sugar in our bodies and also use up valuable minerals when they are metabolised, such as zinc, which is crucial for skin health. Not to mention they give us almost nothing in return - except calories! The ultimate dehydrator - alcohol also robs our bodies of B vitamins and vitamins A and C, which are vital for skin and overall health. Excessive alcohol depletes minerals including magnesium and zinc, as well as essential fatty acids, all of which are needed to slow down the onset of premature ageing. Most of us love a good cup of coffee - to a certain extent anything (in moderation) that gives us pleasure is good for us. Just remember to drink an extra glass of water for each cup of coffee you have to counteract caffeine’s dehydrating effects on the body. Many of us are sensitive to casein, the milk protein, which can clog up the body and cause constipation – as well as acne and eczema. Casein also triggers inflammation – mucus and/or pain are both signs of inflammation. Older PostRefresh + enLighten MAKEOVER with our NEW Makeup Artist!